Here is a quick shot of my FB (GSL-SE to be exact) with its new transplant. I know this is like sticking a tree branch into a hornets nest, but I think its something interesting and something people can appreciate. 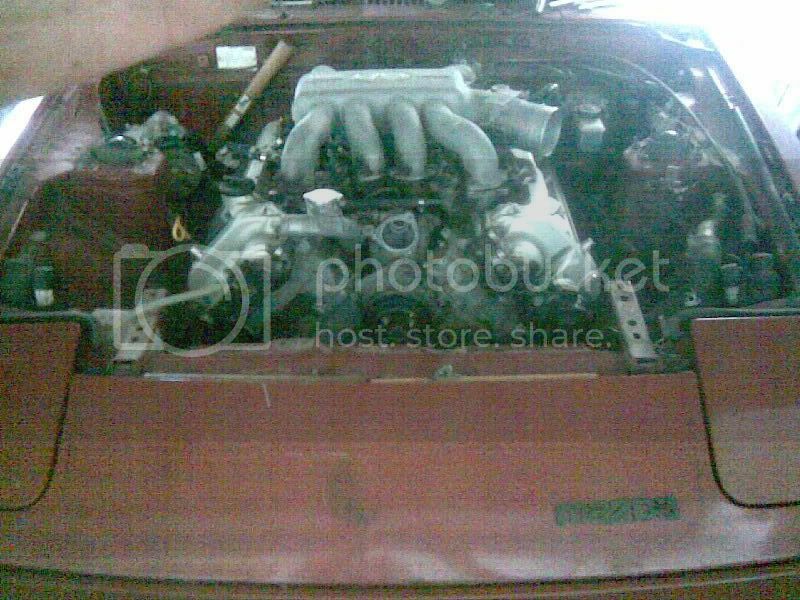 The engine is VH45DE from an Infiniti Q45. 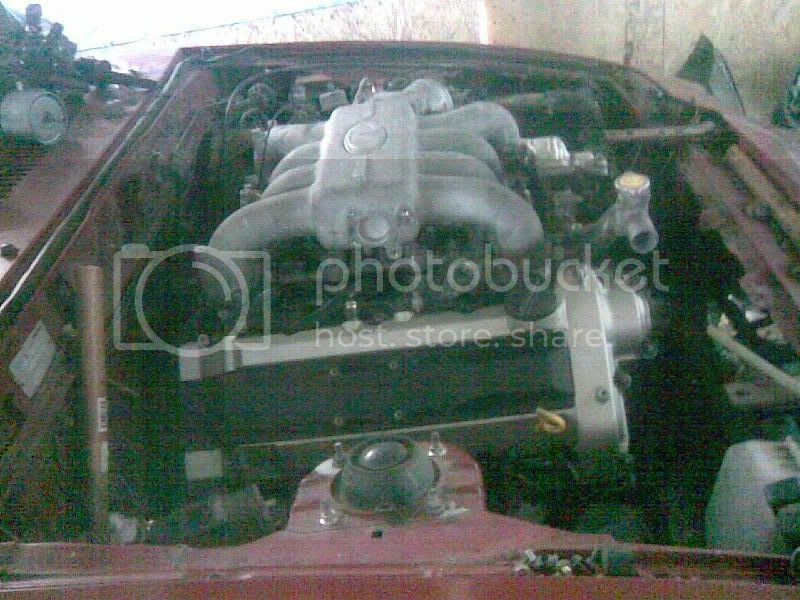 4.5L DOHC V8, VVTi, all aluminum construction. Forged internals (from the factory). 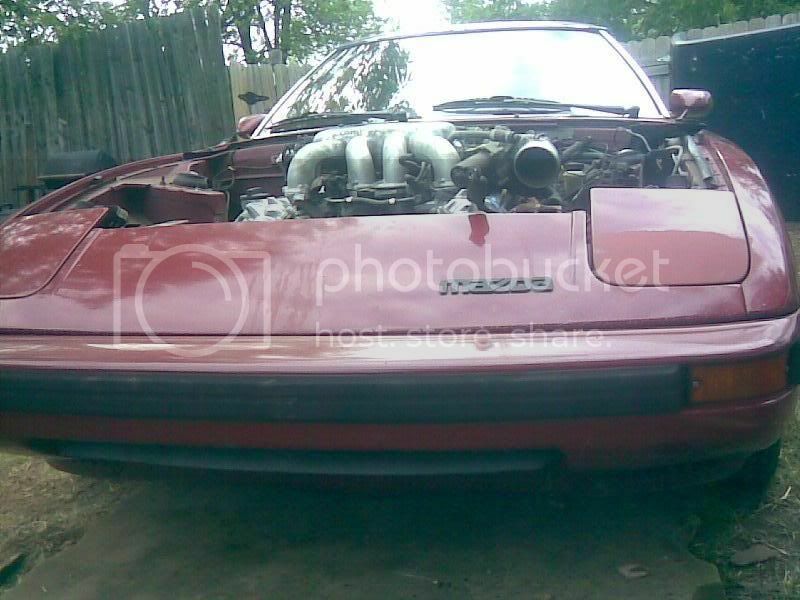 Going to be mated to a 300ZX transmission. These pics are of the mock up process. I will post more as it progresses. 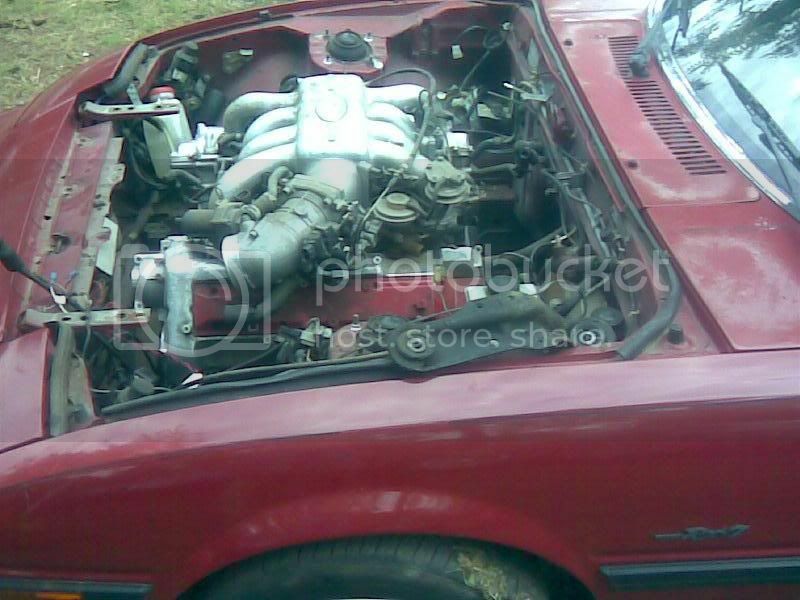 omg that thing is sick that motor looks huge in there whats specs on motor? Yup, VH45DE. They are putting down around 275/275 'ish at the wheels in stock form. Should make for a pretty mean setup. 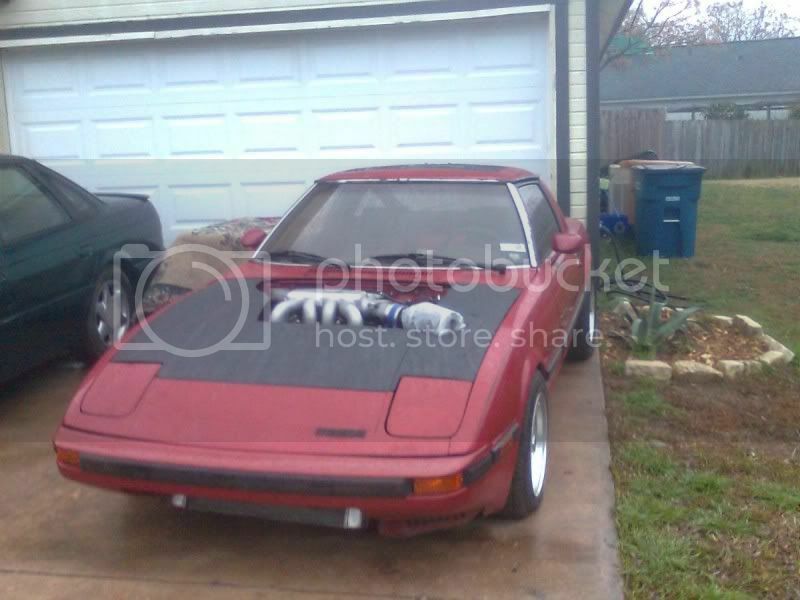 Especially with the 300ZX trans behind it. I'll keep this updated if ppl are interested! nice conversion man what did you use for mounts and what about the management? Mounts are custom, engine management is a stock ECU for now. As far as the hood clearance goes I'm gonna cut a hole in the stock one and shape some sheet metal for a nice bulge. Are you going to have room for a radiator in there? I'd think that if you moved the engine back about four inches you'd solve a lot of other problems, maybe even hood clearance. Just a thought. The final resting spot of the engine is a little further back than these pics. They are just mock up to see where the clearance issues were. The radiator will be enourmous and will be mounted at a nice rake to allow adequate coverage. More pics to come soon! Still just a teaser. Engine is in final mounting spot and the car has moved under its own power. This saturday is D-day; the first day I'll get the chance to drive it. How you guys like the custom HAMMAR mod? I also have a friend down here in FL that has one in his 240. Pretty quick car. He drifts it but still runs I think... high 13's? or low 14's in the 1/4? Open diff on street tires. He says its great on gas too. I'd also recommend moving the motor back say... 4-8 inches. Drop the motor about 4-6. Maybe mod the oil pan so you can use the stock hood. Total sleeper at that point. CRAZY huge engine batman. Neat idea...keep us posted. I am almost embarrassed to post this video but its all I have right this second. The car's maiden voyage taken from my friends 5 year old cell phone. I was in 5th gear we were going probably 65-ish and he floored it (350 Chevrolet pickup) and you can hear when I give it about 3/4 throttle in 5th gear (then you don't hear **** till the end). I promise better vids are coming, the car just recently got on the road without any issues. After that vid the water pump was replaced and now the clutch is almost fully broken in. It is a pretty intense ride, you cannot fully appreciate this swap until you see the car in person and even then you don't understand until you've ridden in this thing, haha. More (better) vids coming! 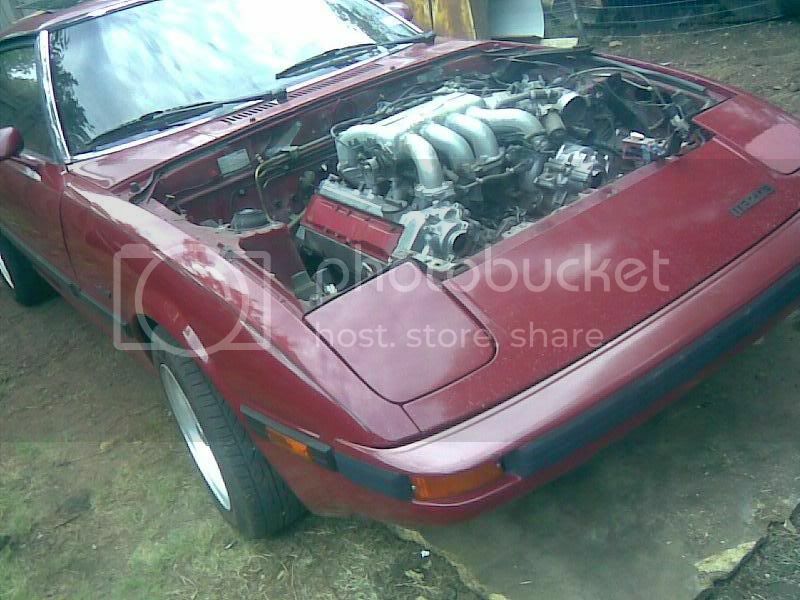 I'm currently looking for an FB myself to do a V8 swap in. 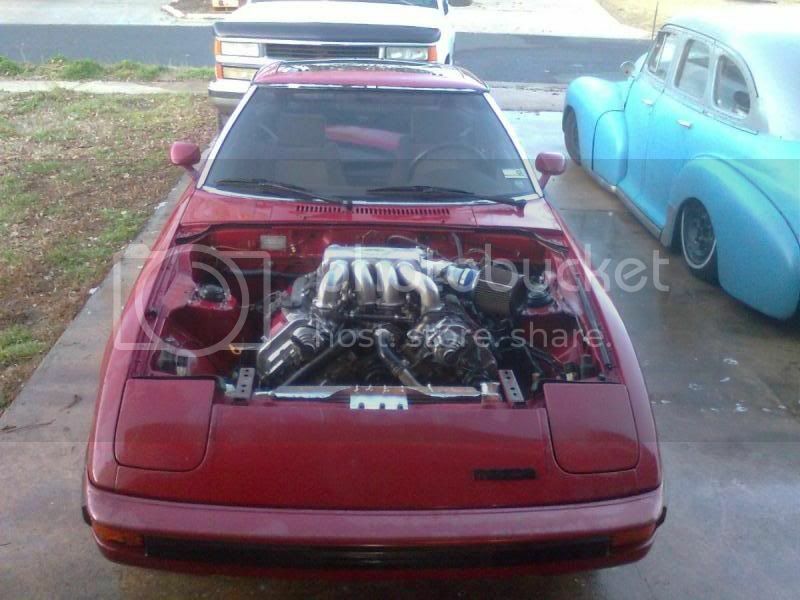 That motor looks like a friggin monster in there. Quick Reply: Maybe something off the beaten path? -SE lovers WARNING!